Australian family life is undergoing a seismic shake-up. Until a few decades ago, a typical household followed the nuclear family model, comprising a couple and their children, who left home in their late teens. Volatile property markets have made this model unsustainable for many, with children lingering under parents’ roofs well into adulthood and parents living longer. 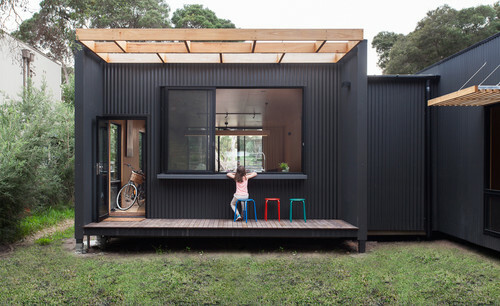 Many architects have responded creatively to the need for alternatives, and as a result, the humble granny flat has gone seriously upscale. Considering installing one of these designer beauties in your backyard? Here’s what you need to know. The rise of the granny flat has been stellar. 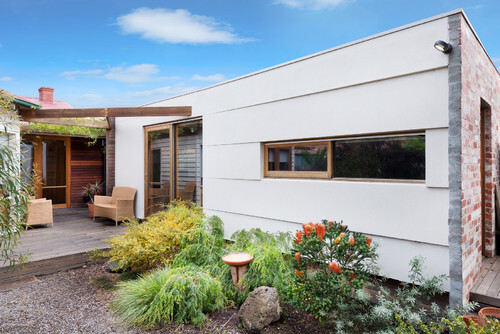 No longer spartan after-thoughts for inconvenient relatives, today’s granny flats are stylish and comfortable mini-homes. Flexible and compact designs make them affordable for families needing residential options at different life stages. Many companies today cater solely for this market. Serge Panayi, director of Granny Flats Sydney says he was designing a few granny flats every month in 2009. That has now grown to around six a week. 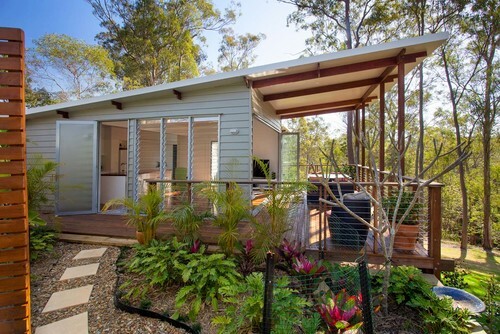 Lee Janssen, managing director of Avalon Granny Flats, says that as property prices spiralled, the increasing interest in secondary dwellings and compact homes led him to specialise in small home design. Financially, a secondary dwelling can ease budgets by providing an investment and income – Janssen says the bulk of his jobs are for middle-aged homeowners looking to capitalise on land values. Some are for Gen Y’ers saving to enter the property market. They can be a downsizing option for retirees, or self-contained guest quarters. A granny flat also enables mutual care and cooperation between family members, and provides a close-by safety net for emergencies. According to Mike Nichols, managing director at Granny Flats WA, some divorcing couples who don’t want the inconvenience of selling the family home and the financial loss of dividing assets are building granny flats to facilitate each other’s privacy and desire to live apart. How much do granny flats cost and how long do they take? Depending on materials and finishes, costs are generally substantially less than $200,000. For Panayi, a 60 square metre flat starts at $90,000 and average time for design, approval and build is 9-12 weeks. “Landscaping, driveway and other external work, such as a second letterbox and clothesline, can stretch that further,” he says. What are the construction options? 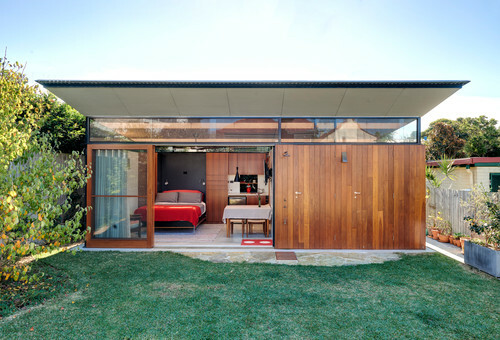 One company that is producing impressive modular backyard rooms is Victorian architecture-building practice ArchiBlox. Their range of pre-fabricated studios and granny flats are not just sustainably and architecturally designed, but energy efficient too. They can be used as anything from a home office or studio to a granny flat, and prices range from about $45,000 to $150,000. Design features to choose from include sleeping zones, kitchens, bathrooms, bookshelves and even green roofs.